With Christmas just around the corner and the start of the holiday season upon us it’s an ideal time to catch up on all what’s been happening around Sunshine Cove. 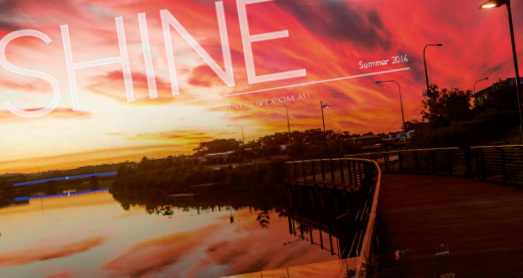 In this issue of Shine, we break the great news of ALDI moving into Sunshine Cove and how the release of Stage 2 of the Flinders Precinct will be bring even more facilities and services to our community. We have a few words from our friends at Sunshine Plaza on their $400 million redevelopment and what it will mean for shoppers on the coast. Plus in this issue: Community Development Update, House & Land for Sale Feature and more!